Hot buttered popcorn anyone?? 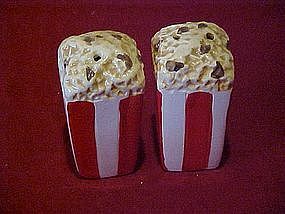 Two bags of popcorn made of hand painted ceramic. Stoppers intact. Measures 3" tall. Perfect condition.